[dropcap]I[/dropcap] have been wanting a piece of furniture to fill our entryway for months but didn’t want to spend a lot of money. 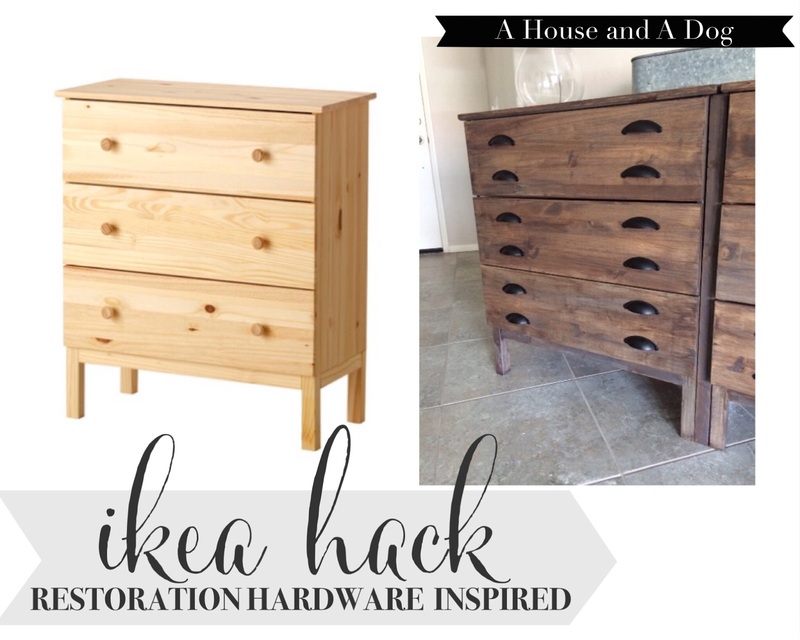 I really wanted the look of a Restoration Hardware piece, and luckily an Ikea Tarva Hack was the prefect solutions and only cost me about $150. 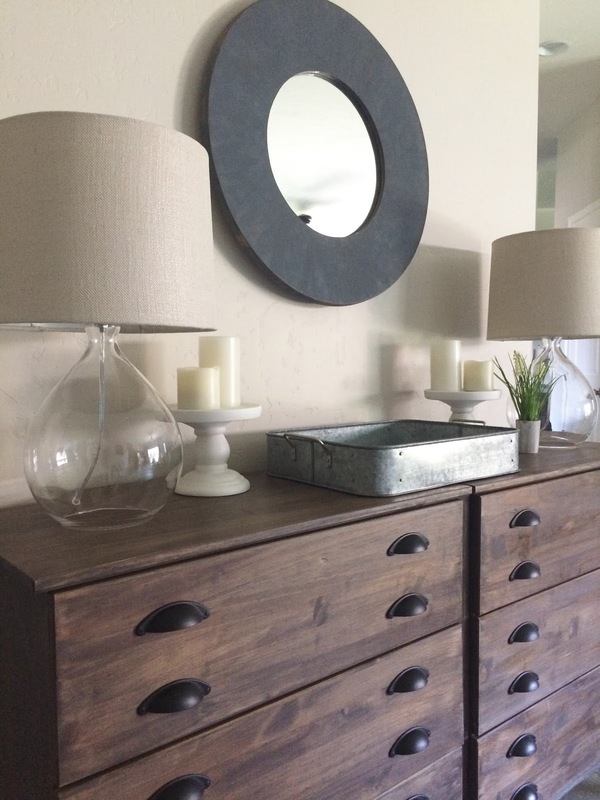 This might be one of my favorite pieces in our home! 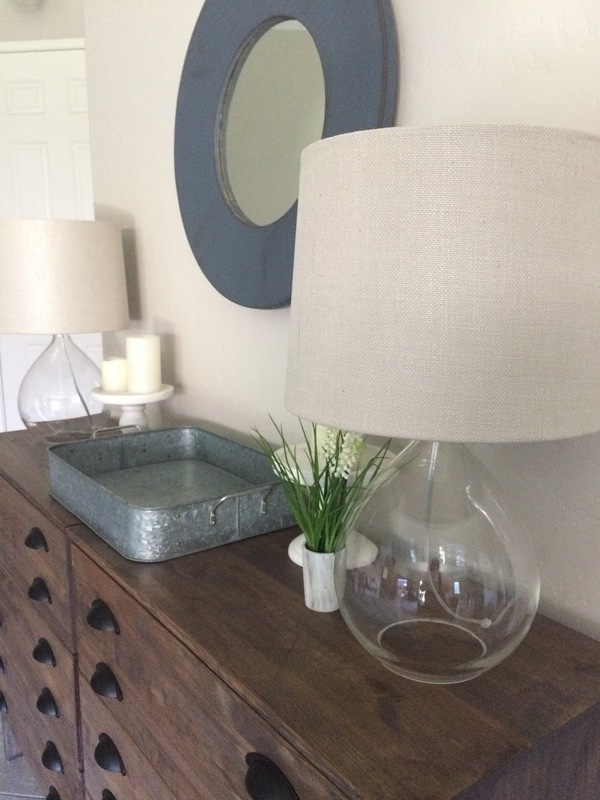 This is an easy project that has made such a big impact on our entry way leading into the living room. To say that I am obsessed would be an understatement. Using two chests filled up the wall space, and the height is perfect for dropping off cell phones, keys, and sunglasses. 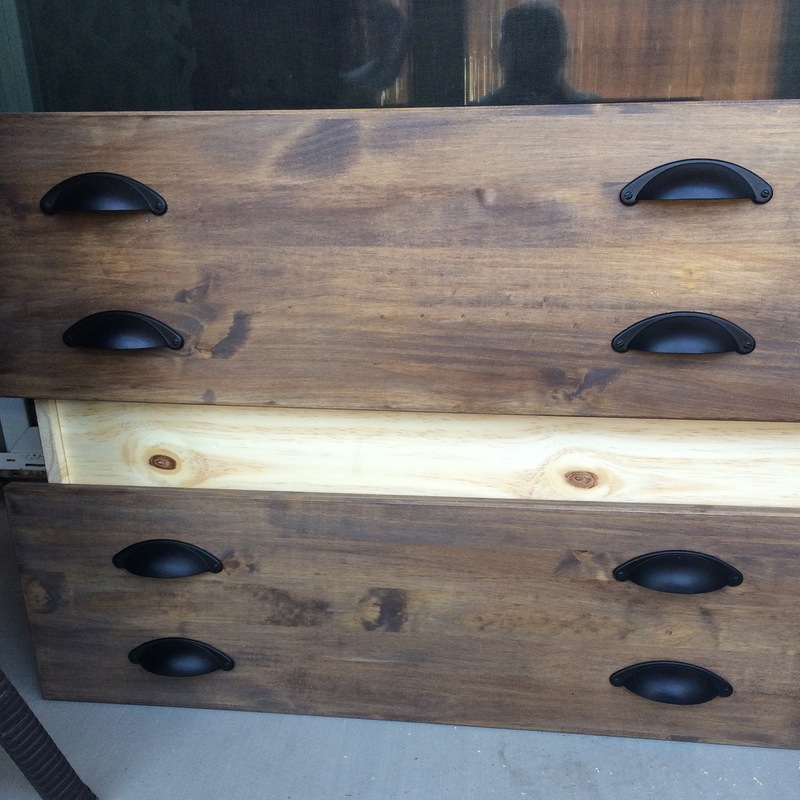 ikea tarva 3 drawer chests, I used the two smaller pieces for cheaper shipping! Now on to the not so fun part – how I did it. First, I had to put the Tarva chests together. I give major props to those who have designed and DIYed a kitchen from Ikea. I could not imagine putting together all those kitchen cabinets! The instructions are only pictures, no words. I was constantly checking the pictures to make sure I was doing everything right. After I was done “building” the chests, I used wood filler to fill the existing holes for the knobs. Then, I created a template and pre drilled for all of the new holes I would need. 48 to be exact! This was a little time consuming, but well worth it. I also used a screw driver, hammer and drill to distress the tops. The wood is so soft, it wasn’t hard and I’m happy with the distressed look. 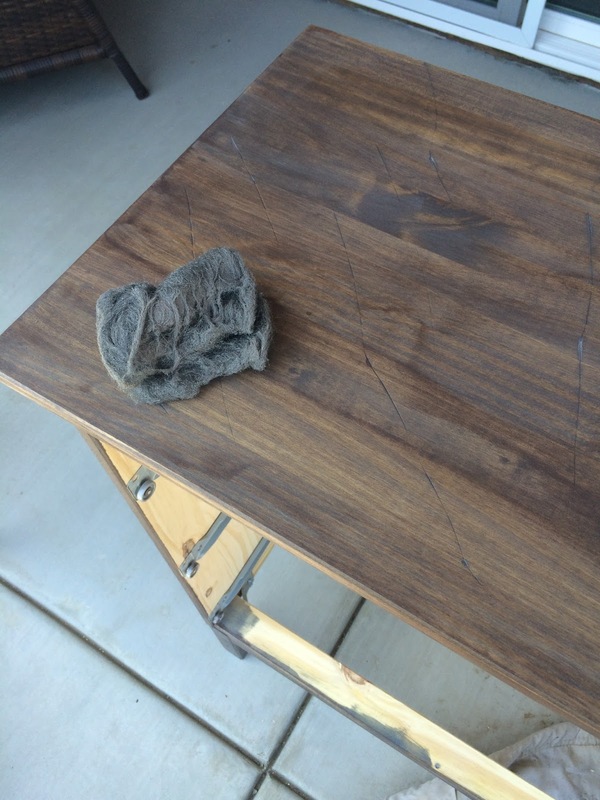 Next, was the stain – I used Minwax Classic Grey first, and after it dried I went over it with Minwax Special Walnut. It created the perfect weathered stain. 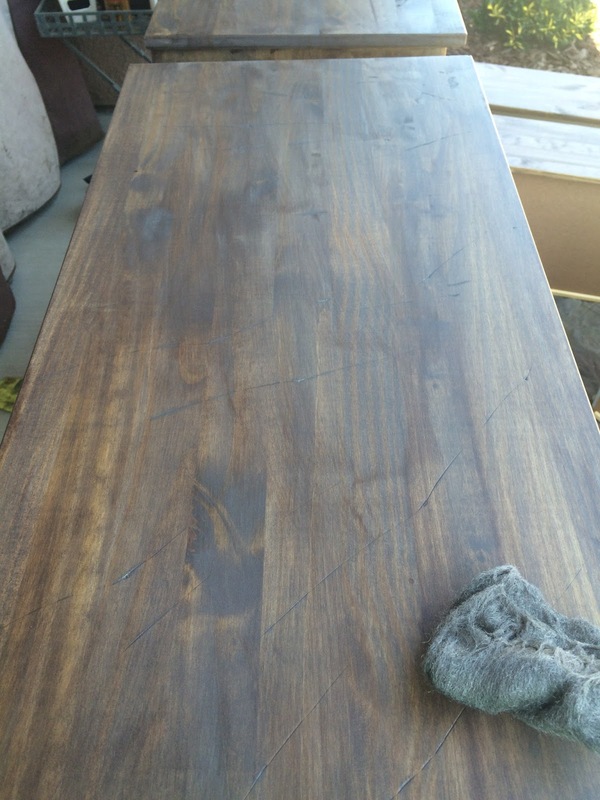 I let them dry overnight and the next morning I applied polyurethane. I used a spray poly, and after that dried completely I used steel wool to smooth it out. Next was attaching all the hardware to the drawers. This was a long process and took a few hours. My template was off by a hair! All of my pre drilled holes were wrong! I had to re drill them to get the hardware to attach properly. If you plan on doing this project, check your template twice, or better yet three times. 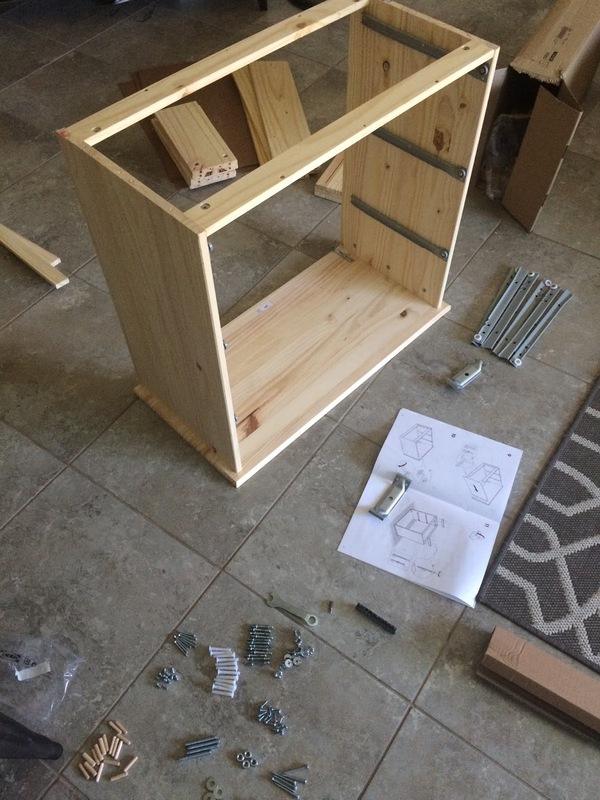 No DIY project is perfect, and this was my mistake. After that was completed, it was back to the fun part and bringing them inside. I stained some scrap wood to match and cut it to fit into the gap between the two chests. By doing so, it gives the illusion of one piece of furniture. 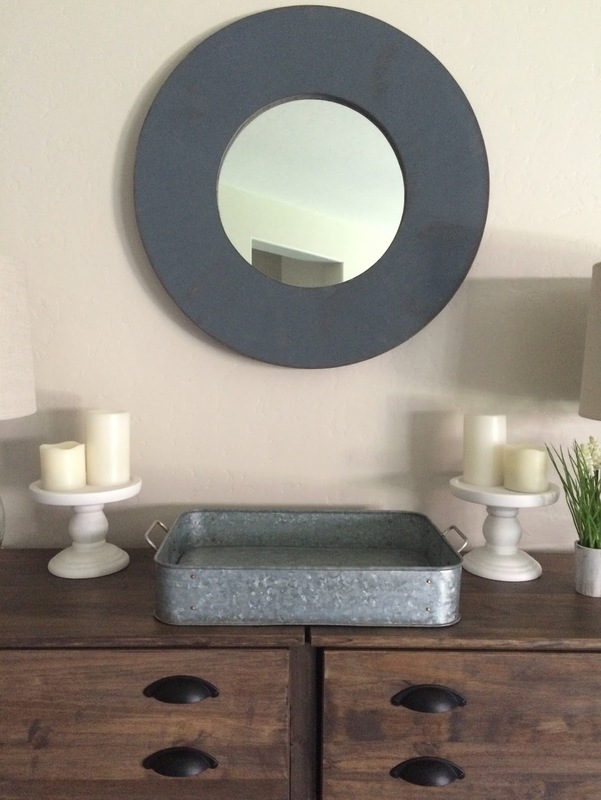 I used my existing mirror and Martha Stewart Chalk paint from Michaels to give it a makeover. The lamps are from Target and I love them! I “shopped” the house for other decor accessories and cannot wait to change out items for the holidays and seasons. Right now, I’m going for a clean and airy look. The hardware really makes the statement for this piece. The black against the wood grain really pops. 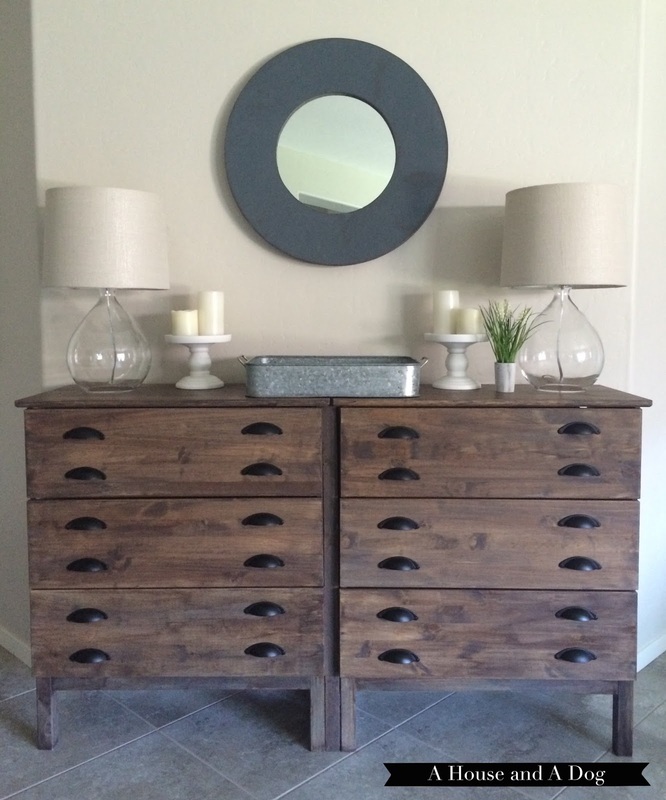 One reason I chose the Tarva chest was not only for the great price, but because I would be able to stain the wood. Pine might be my favorite wood yet! What do you think? Are you gonna attempt this IKEA hack yourself? Looks amazing Allison! 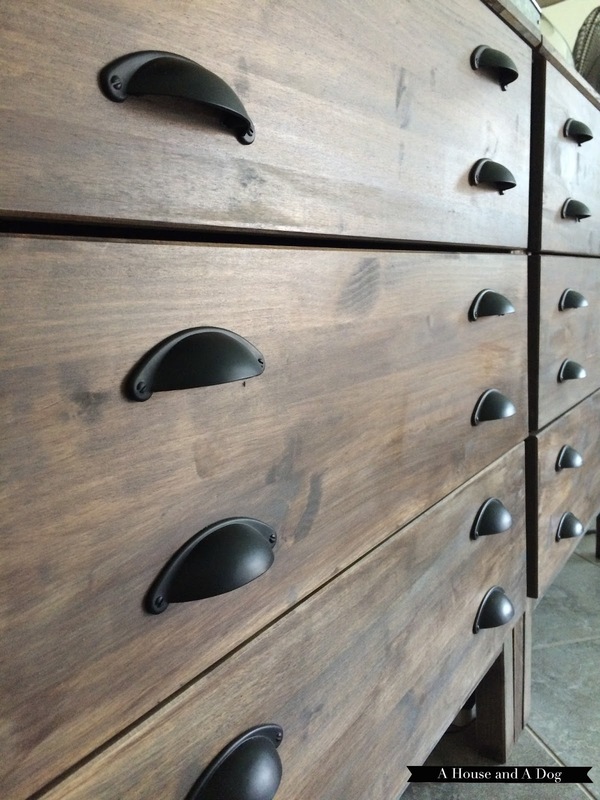 I love the stain & hardware!! 🙂 Happy Tuesday friend! Love this, what a great transformation! I always wonder what cool thing can be done to Ikea furniture. Love your great looking chest. Love these! Thanks so much for sharing! I'm gonna include these in my favs of the week!